The world knows Sir Francis Bacon for his worldly wisdom. He had made an analysis of the world and in “Of Truth”, he guided his readers how to get success even in critical situations . Alexander Pope called Bacon meanest kind of person because of his worldly philosophy. Bacon always focuses on worldly benefits and rarely talks about the fruits of eternal life. In “Of Truth”, he speaks in favor of the truth; he also differentiates it from lie and forces us to speak the truth in every situation. He supports his arguments through solid quotations. Bacon also answers some of the old skeptical people, who were against the truth. He does not exaggerate truth but put reality in front of his readers. A person can only become honest if he speaks the truth. A lie may delight a person but it does not honor him. Let’s see what else he says. Sir Francis Bacon starts his essay while referring the Ancient Roman Governor Pilate, who made the situation critical without doing an analysis of truth. Pilate asked for truth but did not wait for it. If he would have known the truth, he may have not passed the judgment to crucify the Christ. He then talks about skeptical minds, who are not easily convincible. He doubts that Pilate was also skeptical. Definitely, there are people who do not have strong beliefs. Numerous people are there in the world, who change their minds frequently. They consider that fixed beliefs are a sign of mental slavery. Whenever they think or take decisions, they use their free will; they stubbornly ignore every belief. In Greeks, there was a school of philosophers having skeptics. They may have died now but skeptical people are there even today in this world. Why Do Not People Speak the Truth? There are many reasons behind not speaking the truth. One of them is that discovery of truth requires efforts and time. Let us do a critical analysis of this truth from real life example. There are many courts in every country; each court has thousands of cases; in every case, either the defendant or the plaintiff is right. Every case has been heard for many years in order to find out who is speaking the truth. Secondly, both the parties (plaintiff and defendant) struggle to prove themselves right. Indeed Sir Francis Bacon is right. Effort and time are required to discover the truth. The second reason, which Bacon provides for not speaking the truth, is that it is hard to digest. When it is discovered people hardly believe it. Then he talks about lies. He is of the view that lies attract people but no one adopts truth. He is confused that why people tell a lie for the sake of a lie. Nevertheless, he understands that poets sell lie because it gives pleasure to human beings. Traders tell lies because they want to sell their goods but lie for the sake of lie is not understandable. 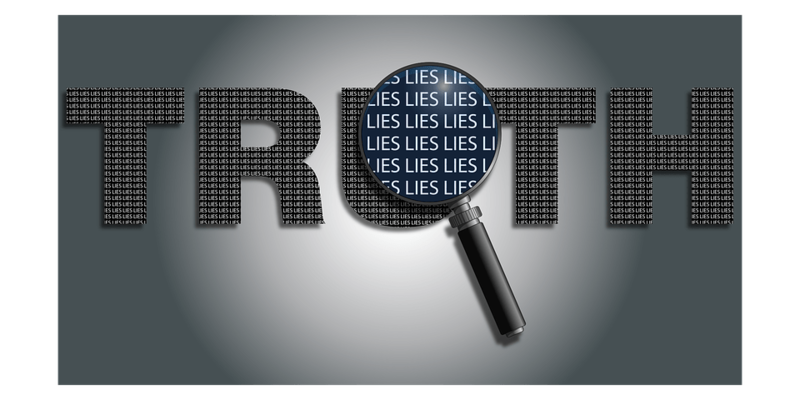 How Is The Truth Different from Lie? Bacon gives a real-life example. He says that if the audience sees a spectacle on the stage in daylight it will look as it is. On the other hand, if the same show is presented with candlelight then it will attract more people; it would definitely give pleasure to the audience. Lie, in the same way, has a beautiful and shiny cover, due to which people like lie instead of truth. However, if the truth were mixed with a lie then it would also give pleasure. Moreover, people have created their own false beliefs, judgments, and opinions. If these things were snatched from them, their condition would become miserable as these things give them hope and strange kind of pleasure. Critical Analysis of “Of Truth” Shows that Poetry is Harmful? Is poetry a lie? If so, is it harmful? No, Bacon does not think so. Early writers of the church called poetry a devil’s wine. It is because it exaggerates things and is full of fancies. It also takes a person in the world of imagination; therefore, they called poetry a lie and harmful to human beings. Bacon agrees that the poetry is a lie but he denies the second allegation. He says that it is not harmful at all. He divides lies into two categories; short-term and long-term. Poetry tells lie but people soon forget it; therefore, it causes no harm to them. Only those lies are harmful that sink in the mind and are difficult to forget. The light was the first thing, which the God had created. Then He bestowed men, rational faculty. Since then, He is illuminating the human minds. Bacon advises that whenever a person takes a decision, he should rely on his rationality. It would be based upon truth. He quotes Lucretius, who says that realization of truth is the greatest pleasure in the world. When someone realizes the truth, he becomes aware of its importance. He also recognizes his false beliefs and silly hopes. Truth also nips the pride in the bud due to which a person becomes pitiful. If we deeply do critical analysis “Of Truth” then we realize that Bacon truth has its own significance. Falsehood brings disgrace and truth brings honor. Even those persons, who do not speak truth, know its worth. Furthermore, the truth is required not only in the field of theology and philosophy but also in every field of life. Bacon refers Montaigne, who says that a liar is always brave towards God but coward towards humans. By telling a lie, a liar directly challenges God. He knows that he has to face God on doomsday yet he promotes falsehood. Thus, he is brave enough to get punishment in enteral life. At the end of the essay, we find some morality. Bacon tries his best to convince his readers and compels them to speak the truth. The last argument, which he advances, is the “fear of doomsday”. A liar would be punished on the Day of Judgment, says Sir Francis Bacon. To conclude, Bacon in this essay persuades people to speak the truth at any cost. He appreciates those people who stick with the truth. Thus, his tone in this essay is didactic; style is lucid and examples are rich. Solid references from Greeks, Romans, other subjects and various philosophers demonstrate experience and knowledge of the writer in every field of life. It seems that he has made critical analysis of his experiences and then written “Of Truth”. In short, the whole essay is worth reading for the person, who wants success in both the worlds. Watch the video instead of reading the article “Critical Analysis of “Of Truth”.